I added a new “Options” panel in the start window. In here I will add the various options for the software. 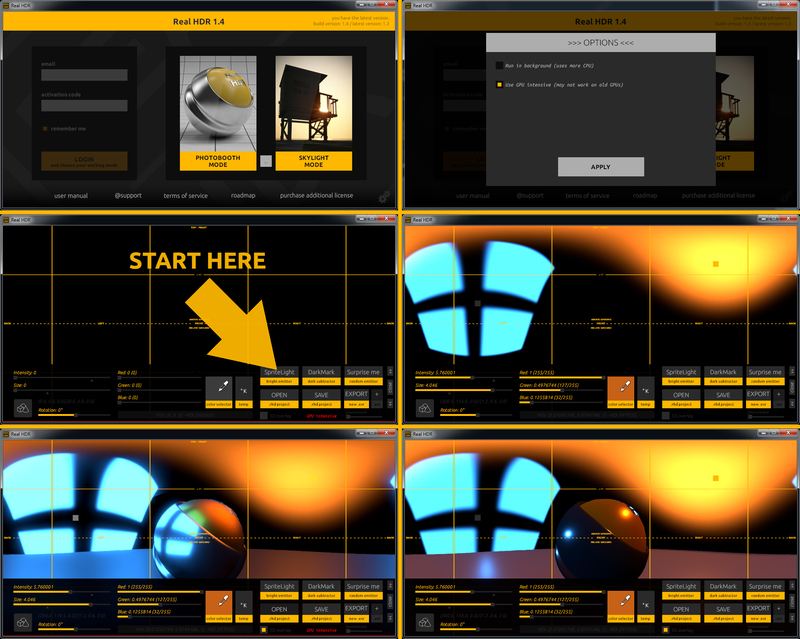 At the moment there is a “GPU intensive rendering” that forces the 3D preview to use very high-end shaders. They look cool but are very heavy compared to the optimized ones (and on some studio’s PC they flicker). Anyway, it is important to keep in mind that Real HDR is not a rendering tool – at least for the moment, this is not the main goal of the software. As of today, the UI for 1.4 looks like this. There is a warning on the lower part of the PhotoBooth, appearing if the high-end shaders are in use.